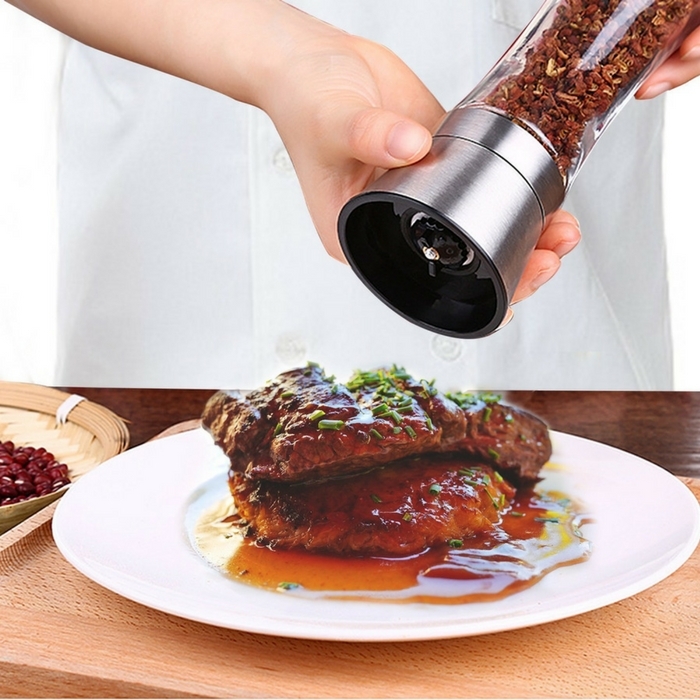 Veego Pepper Mill & Salt Grinder Just $7.99! Down From $21! You are here: Home / Great Deals / Amazon Deals / Veego Pepper Mill & Salt Grinder Just $7.99! Down From $21! Score this great deal at Amazon! Get Veego Pepper Mill & Salt Grinder for just $7.99 down from $21 when you use promo code I2OUZ4OK at checkout! Modern and Attractive Design: Built with 304 stainless steel and strong glass, our pepper mill always look delicate on your table and will charm your family and guests all the time. NOTE: Please kindly note that there is only 1 item in the package. Maintain Freshness of Spices: The FIRMLY CLOSED stainless steel cap will keep your ground spices freshly, away from moisture and dust, and free of undesirable residues on your table. Suitable for All Kinds of Salts and Peppercorns: This stainless steel spices grinder will provide you with fresh spices for all your meals! The high-quality adjustable ceramic rotor, with five grinding levels from coarse to fine, will help you grind your spices to perfection. Easy to Use: It fits in your hand with a perfect size of 7.5 inches tall and holding 3/4 cup of spices without need to constantly refill.And with the adjustable ceramic rotor allows you to easily adjust from a fine to coarse grind. Excellent Accessory For Dainty: Its simple but elegant appearance will fit any style of tables and kitchens. With this simple device, you can create all the dainty with your own hands. Just a few twists and your food is filled with fresh unique taste!